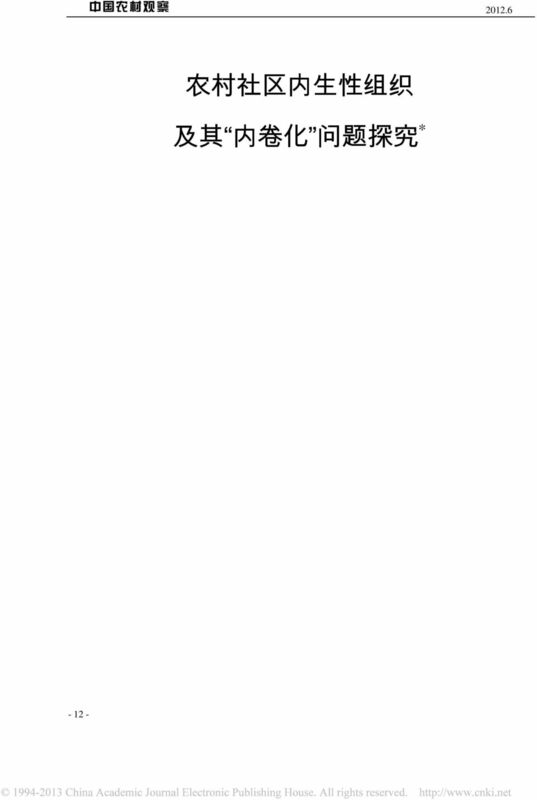 Download "二 农 村 社 区 内 生 性 组 织 的 多 重 属 性 1998 2006 2003 2002 2002 2004 2010-13 -"
01 2 1776 (Adam Smith, 1723~1790) (University of Glasgow) (The Wealth of Nations) (Trade-off) (Micro-economics) (Macro- economics) 3 CHAPTER 01 (invisible hand) (equibilium) (market failure) 1. M 2. 3.